At the end of 70th of the previous century after fixed rate system of national currencies in relation to US dollar was canceled formation of currency FOREX market has started. (Foreign Exchange Operations - set of operations on sale and purchase of foreign currency, and granting of loans on concrete conditions, (the sum, the exchange rate, and the period with execution for the certain date). The basic participants of the currency market are: commercial banks, currency stock exchanges, the central banks, the firms carrying out the foreign trade operations, investment funds, the broker companies and private persons. 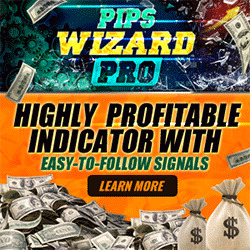 FOREX today is the global market incorporated by a uniform communication network which opens on Monday morning in New Zealand and gets closed on Friday night in the USA. 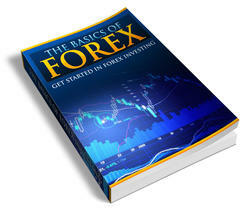 FOREX trade is divided on some trading sessions. The American and Asian sessions are the most aggressive, and great volume of operations belongs to the European session. New Zealand and Australian sessions are the quietest. The main currencies which are shared on the basic volume of all operations in the FOREX market today are: Euro (EUR), Japanese Yen (JPY), Swiss franc (CHF) and English Pound (GBP) and US dollar (USD). The daily volume of conversion operations in the world makes about 2 billion US dollars. In the London market it was necessary about 32 % of turnover, on a share of the markets of the USA - 20 %, Germany - 10 %. Operations with US dollar make 70 %. About 15 % volume in FOREX market today is on a share of electronic brokers. The daytime volume of operations of the largest international banks (Deutsche Bank, Barclays Bank, Union Bank of Switzerland, City Bank, Chase Manhattan Bank, Standard Chartered Bank) reaches billions of dollars. (Spot) operations or current conversion operations are transactions of currency sale and purchase of refer to as actual execution (value) which is carried out for the second working day after the day the transaction was made. According to the data for 1998, about 40 % of all Forex-activity fell at the Spot-market. Typical transaction volumes in interbank trade make 10 million dollars, but due to margin trade system, the output on the market is accessible also to the individuals with small capital. The brokers rendering margin trade services, demand entering of the mortgaging deposit and enable the client to make operations of currency sale and purchase for the sums, 40 - 50, sometimes a 100 times bigger, than plased deposit. The risk of losses is assigned to the client. The deposit serves as the maintenance insuring the broker. Sources of the information about condition of the financial markets - systems of real time delivering the data on quotations of currencies, and also financial and economic news from the international agencies, REUTERS, DOW JONES, CQG, BLOOMBERG, TENFORE, etc.